Interested in learning how to build a shooting range at home with minimal investment? You’ve come to the right place. Since this type of homemade range is becoming more and more popular, we decided to cover it with a GunsmithU guide. Constant practice is the key to achieving greatness no matter the field. Gun shooting is no exception, and the rigors of practice are even more demanding in this field: in order to keep your steady hand and accurate eye well-polished, you need to get your gun practice as regularly as possible. Since no one has the time and resources to go to a professional NRA range every day for practice, more and more gun owners are interested in homemade shooting ranges. If you’d like to give this a try, our guide will give you the basics on where to start. Building an indoor shooting range at home shouldn’t take you longer than a month (if you only work a few hours in your spare time) and shouldn’t cost a fortune either. Before proceeding with the actual instructions, here is our recommendation: if you can, you should try attending a NRA class to get a RSO (Range Safety Officer) rating, since it can really teach you a great deal about how a proper shooting range should be like. Furthermore, if any of your friends or family members will ever get to practice in your home gun shooting range, having completed the RSO course will give both them, you (and any law enforcement checking in) more confidence. This is what you need to know about how to build a shooting range in the comfort of your own home. The most important step in how to build a shooting range is proper planning and preparation. 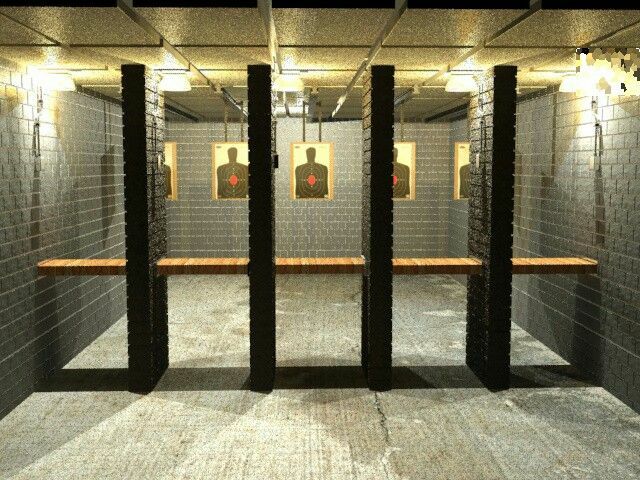 You need to figure out your shooting needs and how you want your range to look like, so you can then proceed to the actual building. First, calculate the dimensions of your range, depending on what type of firearm you plan on shooting there. Building an indoor shooting range should take into account if you’ll be shooting rifles, for instance, which are longer themselves and also require more distance between the shooter and the target, or if you’ll be shooting a handgun which allows for a closer range. Based on the gun specs of the specific gun you’ll be shooting, you can calculate the precise space requirements for your shooting range. The absolute minimum (according to CCW state guidelines) is 7 yards. Next, decide how many shooters you will want to accommodate at a time. According to NRA regulations, a maximum of 10 shooters (and thus 10 lanes) are allowed, but according to state regulations for most states (CCW training guidelines), 5 is the maximum. Since you’re only building an indoor shooting range for limited home use, maybe it’s best to stick to 2-3 lanes for 2-3 users. Decide on width: our recommendation is that each lane should be 10 feet wide, so you can avoid any bullet casing from your lane neighbors flying in your direction. 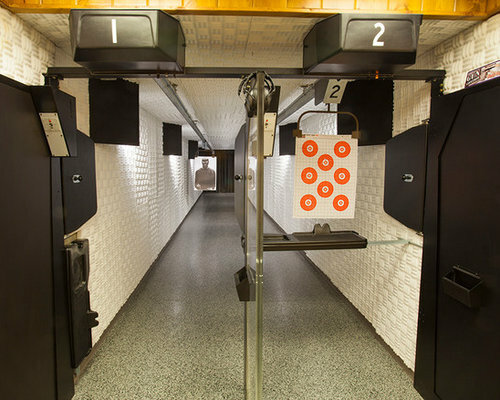 Choose the site to build on: once all these dimensions are calculated, you can proceed to choose the ideal site for building an indoor shooting range. Choose the materials: the key on how to build a shooting range safely is the careful selecting of materials. The priority should be ensuring that a bulletproof material is in the background for the entire width of the shooting range. If you can choose a spot on your property with at least a mile of dense woods in the background, or a tall hill, it would be ideal. If not, an artificial obstacle such as some cheap fill dumped from a couple of load trucks can work as well. Here is an overview of materials you will need for building a proper indoor shooting range on your property. Also make sure that your shooting range respects all federal, state and local regulations and that you don’t disturb your neighbors at late hours with your shooting noises. You’ll see that building an indoor shooting range can end up saving you a lot of time and money. Have fun, and good luck!